Now that I have my Oki gym functional I decided I could add another level and post my log as well. Currently on week 4 of the 12 week strength template, this is the most consistent my training has been since I moved here in July due to traveling to places without good gyms for too long. 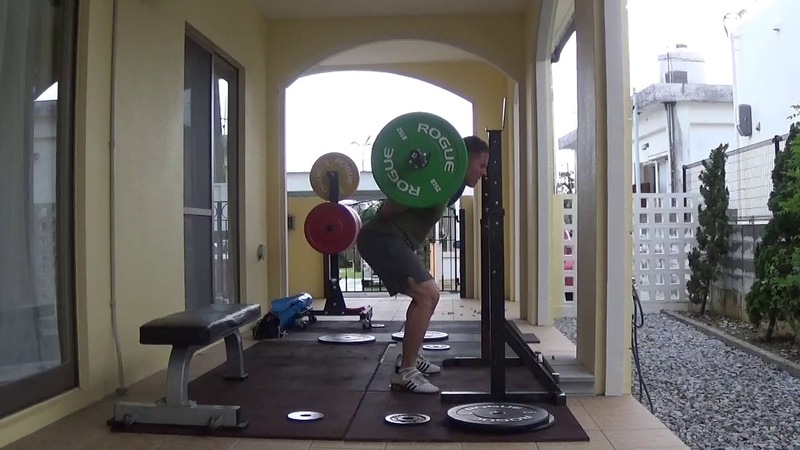 Felt like the bar was rolling up my right side on squats, I think I need to move my gaze and head up slightly. The pillar was throwing me off so I looked down more than I have in the past. Bench was good but terrifying. I bit the bullet and ordered a Rogue S-1 with spotter arms as racking it on this cheap squat stand stresses me out. Apparently Japanese mosquitoes are impervious to Off!. As I was spraying my legs for the third time a mosquito bit me. Deadlifts w/belt: 505x1 @7 530x1@8 445x5x4@7 Issues with grip today. The red plates I picked up out here are Kinsei barbell brand, although the same specs as the Rogue echo bumpers they are really greasy. I'll have to clean them up as I think this was causing my slippery grip. Had to re-chalk between every set and still had problems during the volume work with it slipping. Press w/belt, 195x1@8 165x5x4@8. Felt good, moved good. Tempo LBBS, 185x10@7, 205x10@8 225x10@9 205x10@9. First time doing LBBS Tempo Squats this block as I subbed in HBBS Tempo squats the first 4 weeks due to a minor injury I was working around. Felt really easy until around 6 reps in when my low-back would catch a pump. I like HBBS tempo work for the quad pump as it feels cool unlike a low-back pump. Also, my son threw a tantrum during the last set of squats because he wanted to run around. 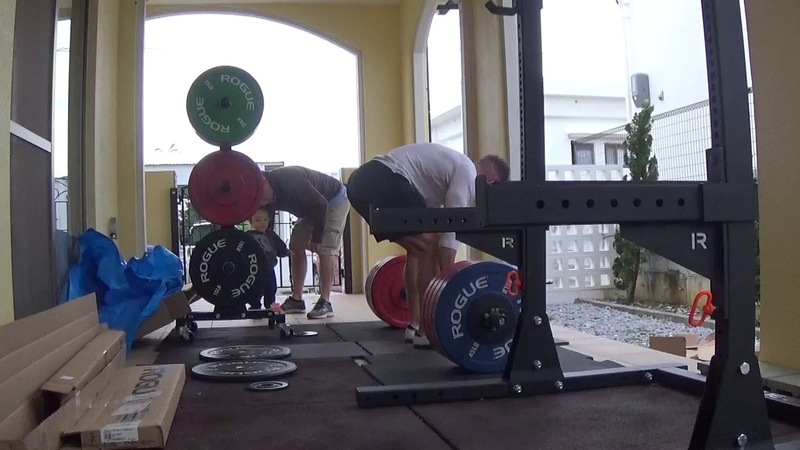 Deficit deadlift w/straps 445x4@7 460x4@8 485x4@9 460x4@9x2. Technically a PR but only because I never pulled a 4@9 when I peaked last spring. CGBP 250X4@7 260X4@8 270X4@9 255X4X2@9. Also a PR because I didn’t have a 4 rep PR recorded in my tracker. Didnt have a leg leg press so did front squats for the first time in at least a year. First set with straps. Last three with full finger grip. All felt terrible. 135x10x4@? 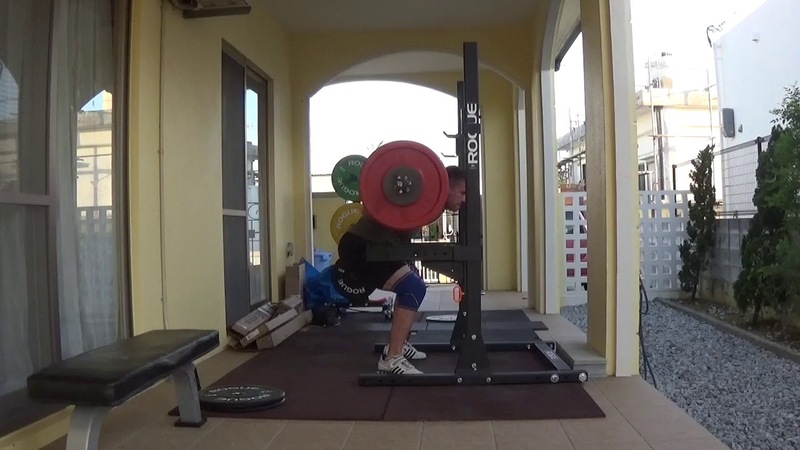 Squats w/belt: 385x1@8 335x4@7-8x2 Moved head position up slightly and pulled elbows forward. Seemed to help keep my chest rounding forward. Comp bench: 305x1@8 260x4x2@8 My broken wood bench cracked loudly when I unracked the single. Thought that was it for me. 3ct pause bench. 205x8@7 215x8@8 225x8@9.5. Caught a pump. 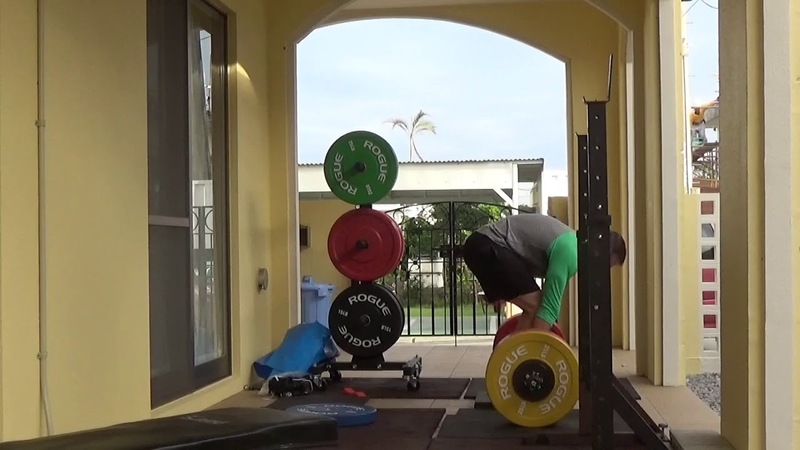 Deadlift w/belt in sambas. Back spasmed on w/u at 375. Did a couple more sets with 375 and kept going. 515x1@7.5 535x1@8 455x4@7x2 Hook grip fine on single. Still slipping on b/o but last set was better. Had too much liquid before session and with belt on I wanted to ralph. Do not recommend. Also decided to try pulling in flats again. All my PRs are in Oly shoes. Hard to tell if it was easier today considering I tweaked my back, felt about the same, maybe slower off the floor but faster lockout. Press w/belt. 195x1@8 165x4@8x2. These were fine...it's fine. 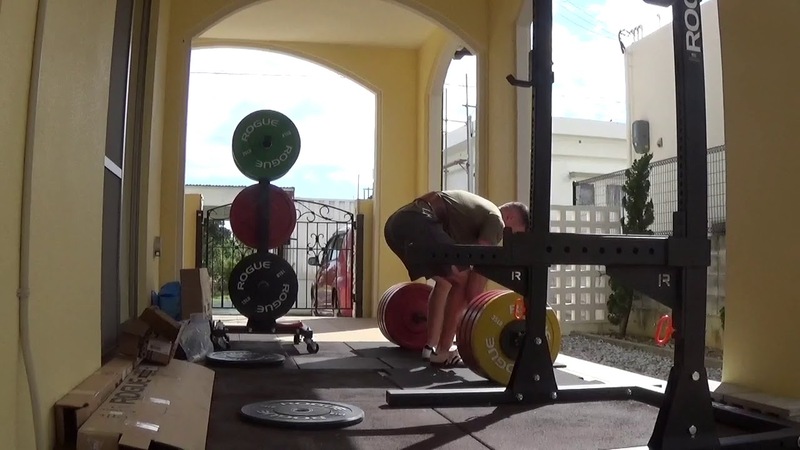 Back was still tight and couldn't lay back quite as much as I wanted and the bar felt a little forward. 530 Tempo LBBS. 185x8@7 205x8@8 225x8@9 Hips were so tight from running yesterday that I barely could get to depth on first set. Improved as I went on. 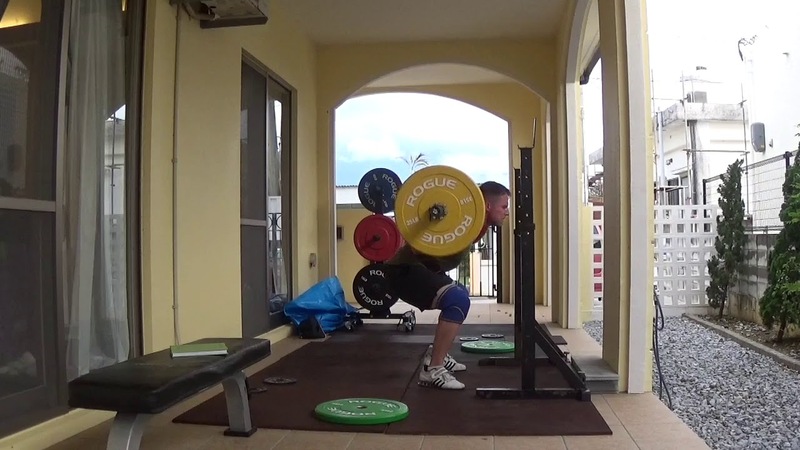 Back was still tight on walk outs but was fine to squat. Got my S-1 today. Played around with set-up so little Buddy could keep playing outside finding snail shells. While trying to determine the setting for pin squats, my right side hit so much sooner than the left I was sure I didn't have the safeties on the same hole. Nope, both the same. Put a level on the bar on the rack, perfectly level. 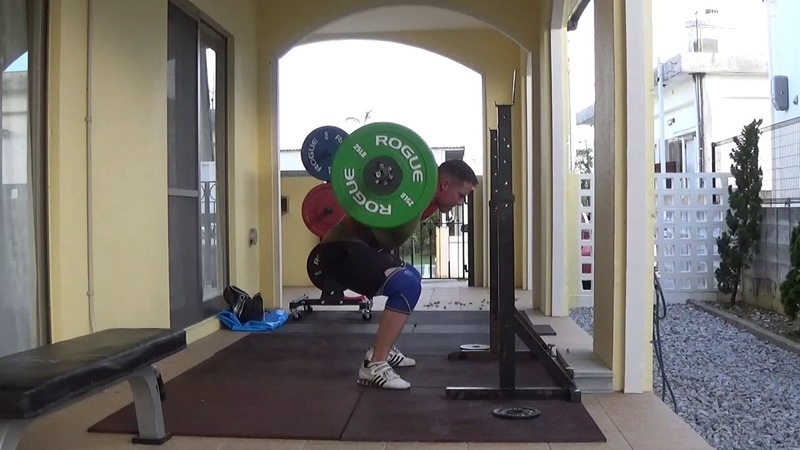 Looks like I still dip my right side as I squat. 2in deficit SLDL 335*8@7 355*8@8 365*8@9 straps. Squats belt/sleeves 370x1@7.5 385x1@8 335x4x4@8 Apparently my math was bad for my drop 15%. Bar felt uneven on back today, couldn't get it right. These were fine, little slow and not smooth but fine. 3ct Pause Bench. 185x8@7.5 195x8@9 185x8@9 Caught a pump early on and couldn't recover. These got well out of hand. 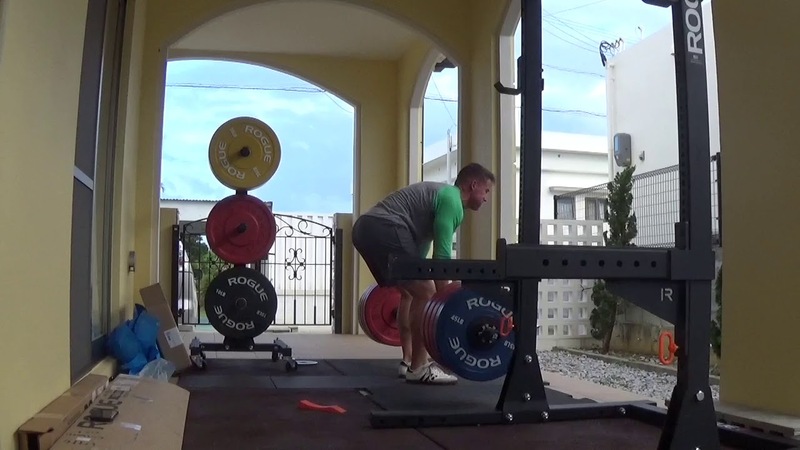 Deadlift belt sambas OPB 515*1@7.5 535*1@8 455*4@7*4. Grip still slips in right hand. Had some lag on top single as it didn’t grab initially. Improved on back offs as I remembered to try harder. Lil bud showed up on last set and got mad he couldn’t play too. Also got mad I was using his dead wedge. 303 tempo LBBS 185*8@6 205*8@7 225*8@8*3. That back pump. caught a pump on the press. Squats still don’t feel great. Light weights feel heavy. Oh well. I might switch to @8 for the sets of 3. Did it in my last specialization block and it worked well. The @9 on deads felt taxing. Working on in doing the SLDL with short rest breaks. Numerous mosquito bites today. From the same mosquito. Last edited by Patrick; 12-02-2018, 05:55 AM. 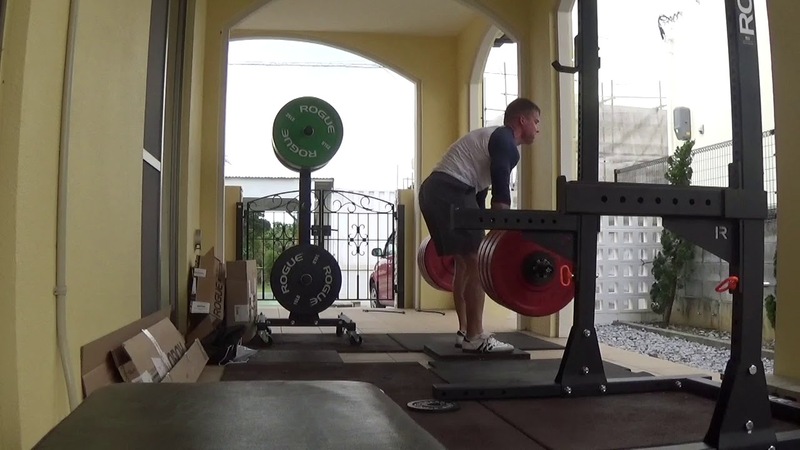 LBBS belt/sleeves 390x1@8 330x4x4@7 Squats finally felt good, bar placement felt on point. Ended up in half rack that can only face mirror, caught myself looking up the single which slowed me down slightly but otherwise good. B/O sets really easy. 3ct Pause Bench 175x8@6 180x8@7 190x8x3@8 Reduced weight significantly from last week due to catching a pump. This was better. Deadlifts with hex bumper, samba, belt OPB. 515x1@7 540x1@8 460x4x4@7 Right hand grip issues again. Everything was slipping from mid 400s 515 was fast but grip still slipping. Switched to alternate for top single, held on for 5 count at top but still had some slipping. B/O all were hook, focused on squeezing right hand tighter. I think I either need to try harder or give up and get a deadlift bar. Or it's a hereditary neurological disease and I'm done. Did all 4 training days back to back because #2 son gets cut out Friday morning. Short rest breaks due to work schedule. Told Anders to go to his safe spot before my set of deadlifts so he sat on the bar.